If you're getting delivery, your pizza already comes pre-sliced. But if you're making it at home, when cutting up that pie you'd better make sure everyone gets the same-sized slice lest you start a family feud that could go on for generations. 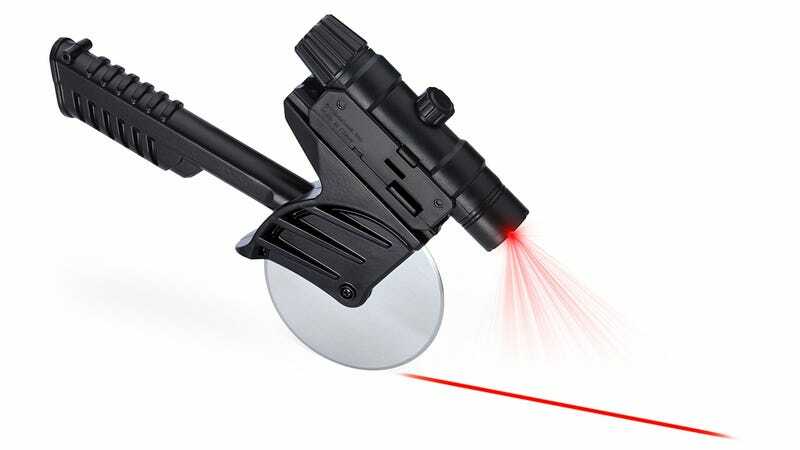 And since nobody wants that, ThinkGeek created this brilliant laser-guided pizza cutter that keeps your slices on target.